As a business law attorney serving Tallassee, Wetumpka, and Auburn, Judge Segrest has a long-standing interest in the relationship between business/economics and law. He sees both as social institutions built on the same foundation of family and morality. We provide legal advice and guidance on business issues to individuals, small family businesses and larger companies. Dale Segrest can help you select the business organization that best fits your needs, whether regular corporation, limited liability company, partnership, limited partnership, professional corporation, sole proprietorship, nonprofit corporation, or other entity. The firm frequently helps individuals and smaller companies to set up new business entities including sole proprietorships and limited liability corporations (LLCs). Often, new business ventures need additional financial support from banks or other lenders. We are ready to advise you at this time and to help you negotiate all the related paperwork. As your business matures, we may continue to assist you with contract negotiations, analysis and documentation. Real estate law is a complex area originating in the English common law, and heavily overlaid with federal and state laws and regulations. 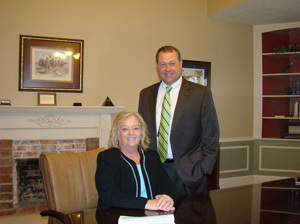 We are well-versed in both residential and commercial real estate transactions and disputes. Whether you are purchasing or leasing a location for your new business, the Segrest Law Firm can help you to make a good deal and avoid potential pitfalls. If you are selling or leasing commercial real estate to another party, there may be a lot of money involved. You want to be sure that all the legal implications are researched and that you will not get any unpleasant surprises at closing or after the fact. The Segrest Law Firm will handle all your real estate transactions with a thorough attention to details and always with your best business interests in mind. Frankly, our attorney does not want our clients to pay more taxes than necessary. We provide advice on how to organize and operate your business to minimize your tax liability. We are also successful in helping businesses with tax assessment challenges. We recognize the need for specialized advice from accountants and attorneys who specialize in taxes, and in appropriate cases work with those other professionals or make referrals.